Amkor’s TO-220FP power discrete package is a Full Pack version of TO-220 with better heat dissipation efficiency through its copper clip structure, and a mounted package height reduced by 2.8 mm as compared to a conventional TO-220NIS package. 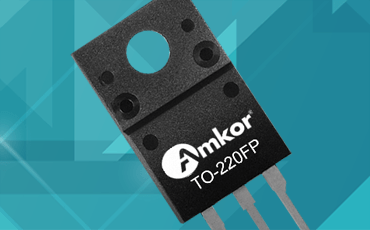 Amkor’s TO-220FP package is suitable for medium to high voltage MOSFETs and IGBTs used for switching power supplies, AC adapters, motor drivers and flat panel displays. New developments include larger/higher density leadframe strips and environmentally friendly Pb-free solder paste.